It’s on like Donkey Kong with this compact & power-packed HIIT spinning workout! Our amazing trainer, Elli, runs you through this 20-minute HIIT workout, designed to annihilate calories and yank the sweat right out of ya with intense and dynamic interval training. You can burn it up at home, at the gym, or anywhere with a bike! Happy HIITin’! Great morning workout before work. holy power 20!! drive 25 #25!! and done! now whats next? what is MMC 2018? I came back to do this again today when I was short on time with an early start at work. So great. Tough but flies by. More of these please Elli! Def hit it! Great way to start the day. Especially when u end ur day with a hike! Thanks Elli! Ellie is the BOMB BOSS!! MM2018 Nice quick workout after a long day at work! SSNY #3 of final week. I now know why this had five sweat drops. I didn’t believe it – I do now! Back after two weeks of the flu for me and my family. Loved the post this week about comebacks vs setbacks. It was for ME! Here’s to my comeback! Thanks Elli and SSoD! SSNYweek 3~#5 This one is such a killer quick workout. If you’re short on time this one does the trick! SSNY2018 great nonstop quick workout! Straight to favorites. Loved the intensity and music! Elli gets right down to business on this one. Tough 20 minutes. Always love an Elli spin!!!! OMG That was painful! In such a good way! 🙂 I love your spin classes Elli! You packed a heckuva punch in those 22 minutes. Love the 60 sec on 30 sec off format. Thank u! Driveto25 #58 Love these quick classes when I’m short on time! Drive to 25 – #15 Amazing 20 minutes. The sprint sequence was killer! Drive to 25 ~ #38 – HIIT the spot! Thanks Elli! Drive to 25. Love that I can get a good sweat quickly for those mornings when time is short. Drive to 25 – 24/25 GREAT quick workout! Drive to 25 #23! Great class! Drive to 25 – Thanks Elli!! Drive to 25..class #31..killer, short, great ride! Thanks Elli! Killer ride!! That was tough!! Thanks Elli!! Drive to 25 – one tough workout Elli! Drive to 25…14/25. Wow! I had no idea I could sweat so much in 20. Great wake up call! Drive to 25: I loved the format. Sometimes you need those days where you know what your in for. On my honeymoon in Aruba & the hotel had a very different but excellent spin bike. Did Ellis 20 mon spin & worked up a great sweat, felt so good. Finished with stretching & weights! Helps me feel better with all the naughty food & alcohol we have been having!! Awesome HIIT!! Super sweaty and out of breath! Loved it–love Elli and the music was a blast! DrI’ve to 25- 30 secondo on is definitely longer than 30 seconds off! Drive to 25 – I needed a quick but tough workout today. This was perfect! Drive to 25-#22- Quick but very challenging! Drive to 25- 44 this class is awesome and will be a go to! Thanks again Elli! This is a tough 20 min workout! Really pushed me all the way – dripping, panting and worked! Drive to 25. Sweat pouring out…silly me thinking a short 20 minutes would be an easy workout…WRONG! Thanks Elli, loved the music and format of the class. Drive to 25-3 of 4 of my 20 min classes today!! Drive 25 First class with Elli and it was great! Really liked the sequence of the workout. Drive to 25 – haven’t done an elli class since the summer. This one pushes you to the max. I was grateful it was only 20 minutes! This makes a great sweaty workout if you are short on time. Or, an excellent warm up to pair with a strength class. Drive to 25….had not working out for at least a week and a half. This was good to get back into it. Thanks Elli! Drive to 25. Straight to favorites! Paired this with another short spin, but would be great for days when I don’t have much time. Thank you! Drive to 25- Fun, speedy workout, Elli. Liked that I barely had time to catch my breath and we were back on. Greet quick hit to combine with others. Loved it! Thank you! Drive to 25. Awesome short HIIT class. Drive to 25 #15! Awesome class. Drive to 25: good morning Sunday!! Dive to 25 Wow! Sweaty for 20 before work. Even feel it in my lungs. Wow, who would have thought 20 mins could be so challenging! My first Elli class and certainly the first of many more to come. Awesome class! “Drive to 25”- I am hooked on this workout. AHR at end of 151bpm. Drive To 25 #27. Great killer workout. On some of the 1 minute stretches, not sure i would have made it without her calling out how many seconds were left. Glad i was home alone for this, i couldnt seem to control my language. Totally loved it. Drive to 25 – awesome 20 minute class! drive to 25! great, brutal workout! Did not think a minute could last an eternity! thx for the great workout! Almost talked myself out of spinning today, but then forced myself to do a quick class. I’m so glad I did. I feel so much better now. Great class! drive 25 first Ellie class! I feel Sick!!!!!! great job Ellie super fast pace super challenging loved it!!! Drive to 25 – #12/25 Spent! Drive to 25 #13. Quick but challenging. Thank you Ellie for a nice ride-just the right length after being out 2 weeks with bronchitis! Drive to 25 👍🏼 Quad Burner! Wowza! Drive to 25-9/25. It was compact and powernpscked! I’m still going after it ended. I want more! Drive to 25. I did not think I could break a good sweat in 20 min especially in this cold garage. BUT I was so wrong!! 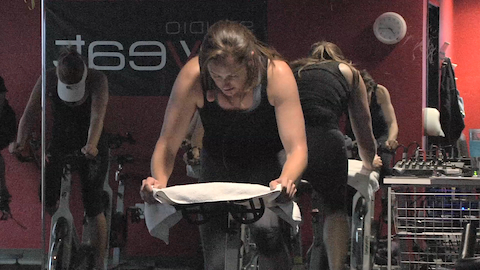 “Drive to 25” -# 51..Wow Elli..for a 20 min spin that class really hits . Great fun..wanted it to go on longer..thanks again.!! Drive to 25 – Wow what a hard workout in just 20 mins. Drive to 25 – 54 – Fighting a head cold. This felt good. Thanks Mimi. Great spin and music Elli! First day back after coming off a foot injury and I feel great! Thank you! Drive to 25…out of breath. DRIVE TO 25! Short but fierce! Drive to 25-#24 loved this one for HITT! Drive to 25 – #22. Great, quick class for warmup! Drive 25 : #17 Great quick workout. Drive To 25..Nice and quick! Drive to 25: Wow Elli, that was fast! “Drive to 25”- Amazing class. Avg HR 151 bpm. Great way to reduce the stress of the work day. Drive to 25- intense!! Yay! drive to 25–this almost killed me! wow! Awesome for when u are short on time! Sweaty quick cal burner😄 drive to 25! Drive to 25 wow that’s harder than a 1 hour class! Great for when you are short on time. Drive to 25-Nice quick way to get your heartrate up or in this case keep it up after doing a quick 45 minute class with Olga! Drive to 25. Great class! I was breathless when I finished! Feel awesome! Thank you! RACE TO 25! Thanks Elli! Drive to 25, perfect spin to squeeze in, sweating buckets! Drive to 25- great quick ride to start the day! Thanks! Drive to 25– woohoo! Elli- that was such a wonderful 20 minute spin! You did not let us let up. Great class, it went by so fast. Thank you! Drive to 25! Great 20 minute class. Thanks, Elli! Drive to 25 – cranked the sweat right out of me this morning! Nice quick workout when you’re in a rush! What can you do in 30 minutes? Just wait and see. Inspirational rockin’ tunes help you push as Coach Meredith leads the pack through an interval based power ride, where it’s tough right out of the gates. The first thing you’ll feel the burn in is the quads, but feel the muscle building burn move to the booty as you finish this express ride with an incredibly STRONG finish. You got this! 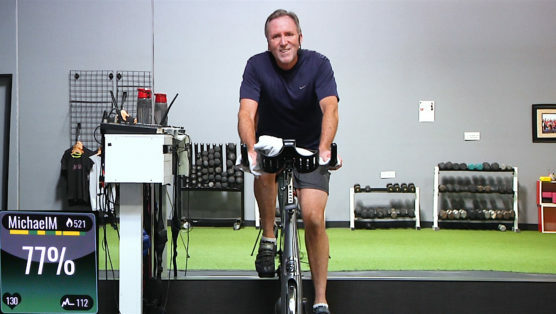 In this 30 minute SpeedSpin® with Cat Kom you’re gonna do Jumps, Endurance Climbs, Interval Break Aways, a Recruit the Glutes drill and, in general, just get a little bit WILD! You get a controlled cool down to finish, followed by a well earned stretch. Git it!